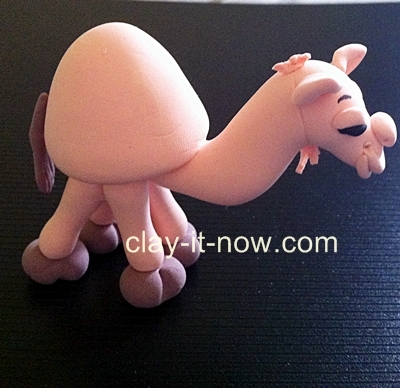 Camel clay figurine is a must-have figurine for desert-themed cake design or other decorations related to desert. This animal is often appear in the nativity set up during Christmas season. This animal has a distinctive hump at its back and we should emphasize that in our figurine design. 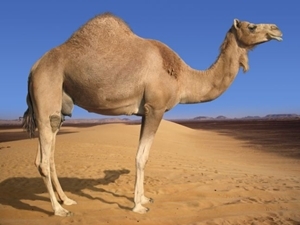 According to Wikipedia there are camels with one-humped known as Arabian Camel - a native to the Middle East, and two-humped which inhabits Central Asia. 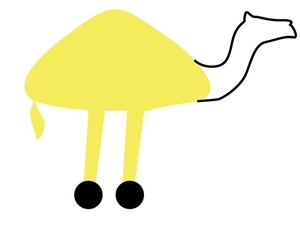 In this page I'd like to show you how to make a one-humped camel figurine. 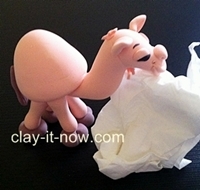 The idea of my clay figurine came from one of the pictures at camel pictures and facts website. 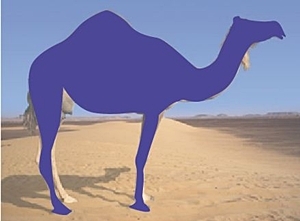 Following the steps in designing animal figurine, I started my work with tracing the shapes of the camel in the picture and simplify it. 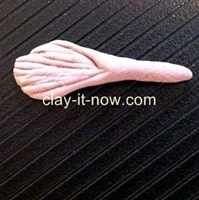 Roll the clay to a basic ball clay and then to a cone shape. Vary the height & width to your preference. Roll a sausage shape and make two bends on top for the head and flatten the other end a little bit so the body can sit on it nicely. Make two flat crescent shapes for eyelids. 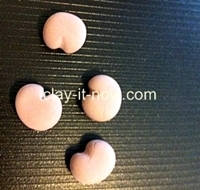 Roll a ball shape then to a teardrop and flatten it. Make another one and you have the ears now. Roll two thin and short sausages to form a smile. 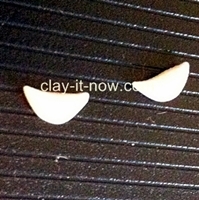 Roll 4 small and slim bowling pins clay shape to form the legs. 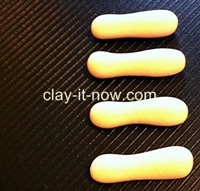 Roll darker color clay for the feet. 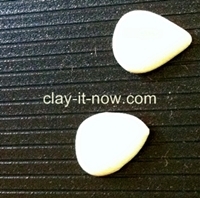 Start with ball shape, flatten it and make a split with your clay tool. 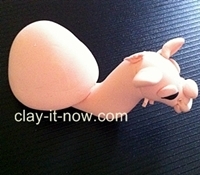 Use the same color clay with the feet to form a tail. Attach the four legs to the feet with white glue. Make sure that legs have the same length. Leave it to dry completely. 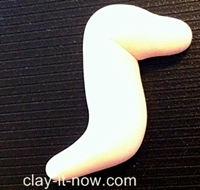 Soft and wet clay can't be used to support the body. 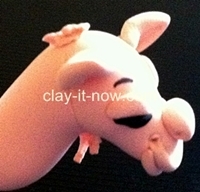 Attach all elements needed to form the camel face such as the ears, eyelids, two sausages for the mouth and small triangle clay shape for nose. Next, attach the head to the body. Draw the eyebrows and eyes with black marker. 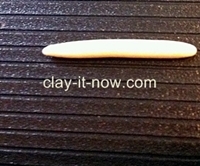 You can also roll small black clay to form the eyeliners. you can add hair for detail. 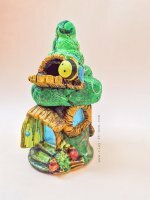 You have finished your figurine. 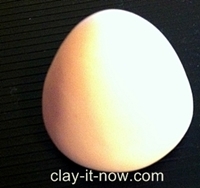 Use tissue paper or kitchen towel to support the head until the clay dry.